Welcome to TicTone.com, must-have tools for musicians... online ! 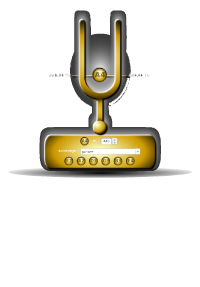 Online metronome ! Online tuner ! Online tuning fork ! Since Java update of January 2014 (Java 7 update 51), it is necessary to add this adress http://www.tictone.com to the exception site list of the Java control panel. Since Java updates of January 2013, Java now displays a warning message when a Java application has to be executed. 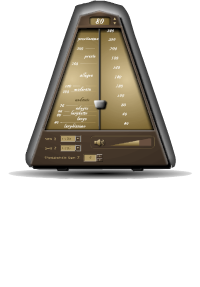 Therefore, if you use the metronome, the tuner or the tuning fork then a Java warning message will appear. Web browsers (Firefox, Chrome,...) display by default a message when a Java application has to be executed. 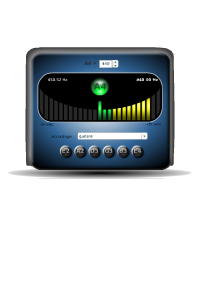 Therefore, if you use the metronome, the tuner or the tuning fork then a message of the web browser will appear. Due to the evolution of Java technology, use of the site has become difficult because of all the messages displayed. However, only the tuner requires the display of a warning message because it requests access to the microphone (and nothing else), while the metronome and tuning fork ask for nothing. TicTone.com regrets the evolution of Java technology and hopes to achieve in the future a new version of its website without Java technology. This site doesn't work properly ? Read this help page.